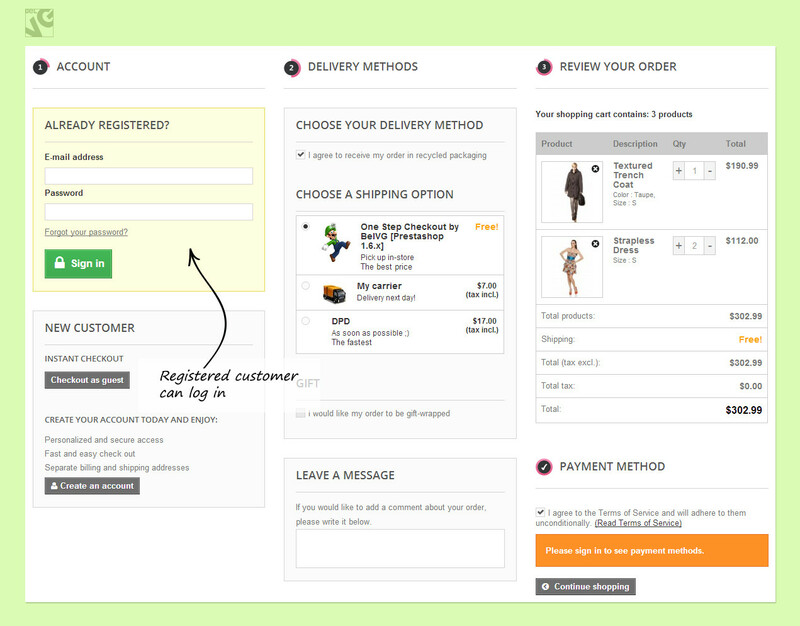 Complicated checkout process with many forms to fill in can make customers run away and increase cart abandonment. 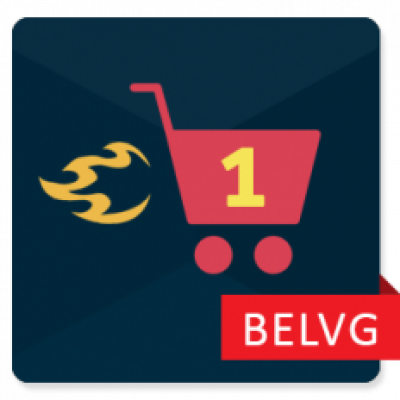 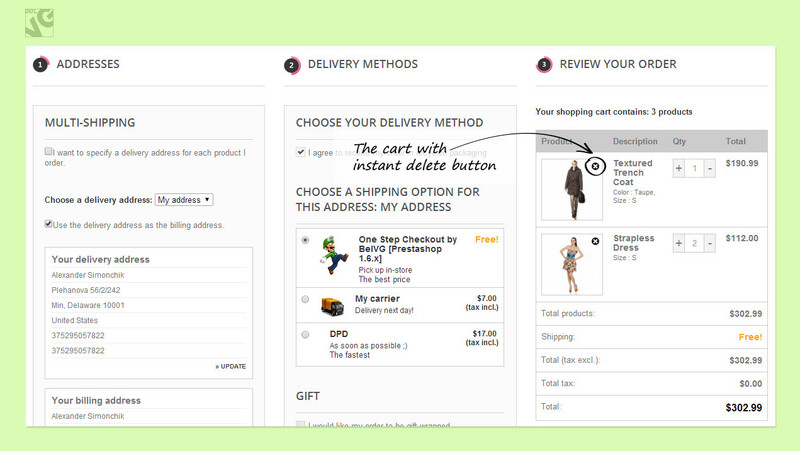 Prestashop One Step Checkout offers an optimized and simplified checkout for your customers' positive shopping experience. 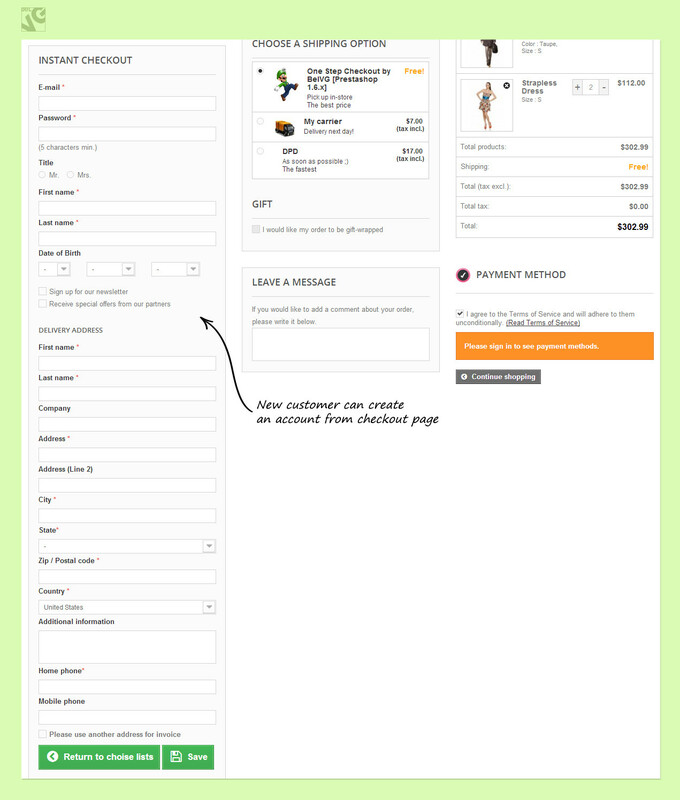 The module shortens the process into one single page. 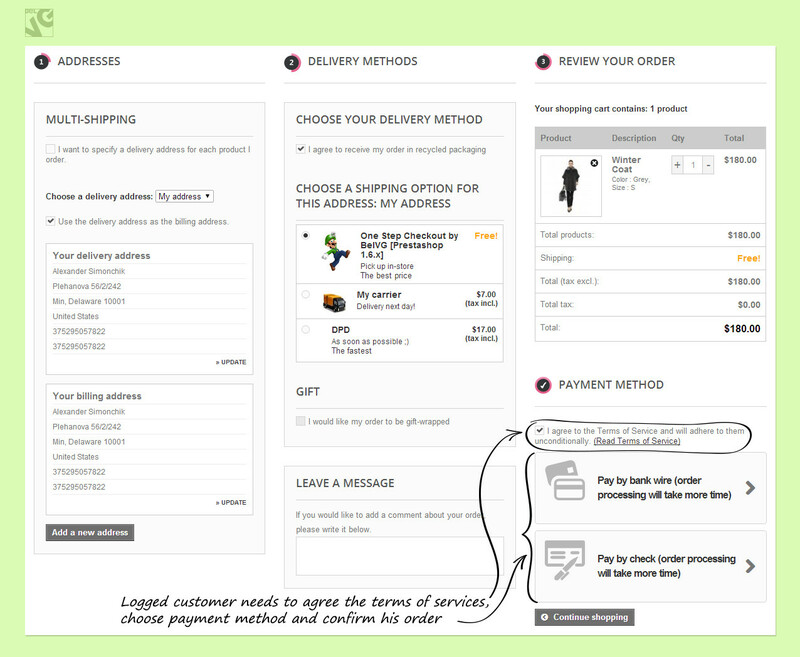 Logged in customers already have their information on the page; they need to make just a few clicks to confirm the order.